If you’re celebrating Thanksgiving, we hope that you are having a wonderful time with your friends and family and you’ll remember this day for years to come. Black Friday is the day following Thanksgiving Day since 1952, this year it will take place on Friday 24 November 2017, with Cyber Monday falling on Monday 27th November. It is time to make that purchase you have been saving for. After the success of 2016‘s compilation, we’ve again compiled some of the top best 2017 Black Friday & Cyber Monday Deals for bloggers, designers, developers… plus some other great sales too! The Black Friday 2017 countdown is officially on. Hurry up and grab a deal before it’s expired! The promotion will be live until end of Cyber Monday (11/27). ? Notes: The complete list of deals is not quite ready yet – many of them aren’t going to be online until the last minute. We will be updating this page frequently until all sales are over. If you have your own deal, email me and we’ll update the post with your deal.
? ← click on these names to view deal detail immediately! 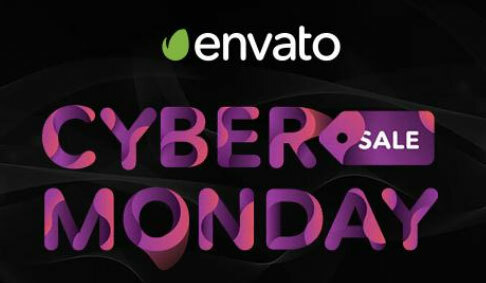 If you’re looking for a premium item on ThemeForest, Codecanyon,… we have a list of 500 items on Envato Market now available at 50% off! between November 21st – 29th 2017. Elegant Themes if offering 25% off all purchases, plus exclusive flash deals, bonus prizes and layout packs. Just touch/click here! Offer valid November, 24-27, 2017. Offer valid: 20th November – 3rd December 2017. Not only that, you could extended membership for just $349 $199. As part the Cyber Monday campaign they will continue the massive 33% launch discount of Annual Elements Accounts that unlocks the popular WordPress Themes and WordPress Plugin categories! An epic $120 off! From November 24-30 they’re packing massive value into their $29 WordPress bundle to motivate you to get your business or project online before 2018!
? Tips: Logged-in users will see the 50% discount, while non-logged-in users will see the 25% discount. ⏳ Black Friday Sale begins on Tuesday, November 21 and lasts through Tuesday, November 28 at 8:00 p.m. Eastern Time. VALID FROM: Friday 24th November until Monday 28th November 2017. I want to remind you that the coupon YITHNOV17 which allows you to have a 100$ discount on the start-up fee to Join their Club, This is our EXCLUSIVE promotion for all of our audience. During themeisle black friday 2017 deals and offers you can save some serious money on it. ThemesIsle offering 25% off all purchases, plus access to 30+ Themes, 10+ Plugins, 1 Year Shared Hosting and able to access to their New Themes & Plugins Just touch/click here! The discount is available for all new membership plans created between 24-28th of November. s2Member Pro is a well known WordPress membership plugin, receive 50% discount now on the Single-Site or Unlimited-Site Pro License using our exclusive Black Friday / Cyber Monday coupon code BLACK35-A:3691. This offer valid from 17 November and 15 December, 2017. Did you know? OptinMonster is now serving over 8 billion impressions a month. OptinMonster is offering you a massive discount of 25% OFF on the purchase of OptinMonster from November 20 to November 30th, 2017. Don’t forget to add the coupon BF2017 while checking out. WPForms is offering you a massive discount of 25% OFF on the purchase of WPForms from November 20 to November 30th, 2017. Don’t forget to add the coupon BF2017 while checking out. Envira Gallery is offering you a massive discount of 25% OFF on the purchase of Envira Gallery from November 20 to November 30th, 2017. Don’t forget to add the coupon BF2017 while checking out. In Cyber Weekend, you will get 35% OFF the first payment on monthly or shared annual plan. This equals 5 months a half months of FREE hosting (inclusive of the 2 months standard free hosting). Valid on any WP Engine plan from Wednesday, November 22, 2017 through Thursday, November 30, 2017. If you were looking for special dedicated WordPress hosting services, then WPEngine web hosting is the best choice for you. WP Engine is also a solid WordPress host that we have used in the past. If you have decided on WP Engine, get up to $600 off your first payment with code FALL600 (Only 11 coupons left, so claim yours now!). Valid on any WP Engine plan in 11/22/2017. This coupon works for ALL PLANS, so even new Enterprise hosting customers can take full advantage. Starting from now until the 28th of November you can get 30% off for lifetime on any of their premium WP management plans. Simply head over here to claim this offer and use the code BF2017 during checkout (applied automatically when clicking the link). During ThanksGiving Day weekend 2017, you will get up to flat 67% off. Below we updates latest A2 Hosting Black Friday Discount 2017 & A2 Hosting Cyber Monday Offers. Don’t forgot to share with your friends on social media. We attached the coupon to these links, just click and buy! Valid on any A2Hosting plan from November 23-27. GreenGeeks’ offering their web hosting at killer rate of only $2.95/mo for 36 months.*. This special will only be valid from the 24th to 27th of November and will be automatically activated for your traffic..